The recent thoughts by Revenant1 on their choices following the eventual appearance of not one but two examples of a long sought after 1877 Netherlands 10 Gulden coin prompted me to post my first journal entry although the nature of my dilemma is somewhat different. As a collector of world coins one of the challenges over the years has been to improve the quality of my collection, however, the number of suitable examples appearing at auction here in the UK is extremely limited with the consequence that most of my purchases are from auctions in the US and continental Europe with some from even further afield (e.g. Australia, Hong Kong and Japan). Although the Buyers Premium and shipping costs can vary dramatically between auctions they are known in advance, whether the purchase will incur import duty should also be considered in what is now very much a global past-time, however the recent biggest uncertainty is currency valuations which seem to be more eratic than ever. Having recently paid invoices in USD, Euros and Swiss Francs my dilemma is do I pay immediately to get the coin in my hands as fast as possible or wait a few days and hope the exchange rate moves in my favour? or risk it going in the wrong direction - as the £ seems to be doing a lot at the moment. As coins often provide a tangible insight into the ever-changing history of the world, coupled with (many) years between the appearance of some issues which then may or may not match availability of funds, I expect I will probably carry on regardless and live with the 'excitment' of the currency markets. I can not see myself returning to collecting only UK issues although I would appreciate a more stable exchange rate rather than having to contend with +/- 5% depending on the day of the week! Next entry Upgrade or new addition to the collection? Fortunately (for me) both of the coins I was looking at were in the United States, as am I, so that wasn't a concern for me. If it had been it could have been very influential in the decision. I like to avoid such issues, even when the coin is just up in Canada. I've been oddly successful in collecting this European gold series from American dealers. The US, rather than their country of origin, does seem to be the source for a lot of quality examples of world coins including European gold - in my experience the coins of the Netherlands/Belgium are almost an exception in this regard with Schulman b.v. being the main source by far - it is great that you have been able to find them at home. As a result I do tend to buy many coins from the US and end up 'importing' them back! 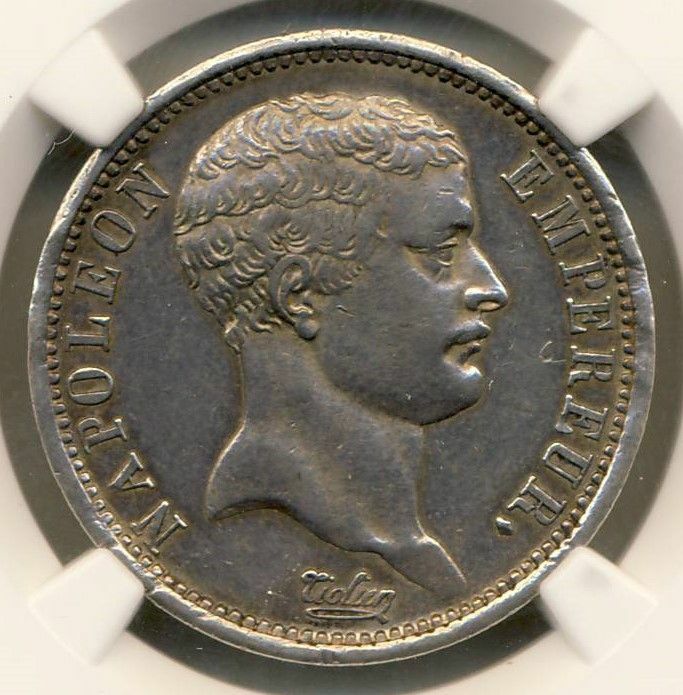 A few years ago the US was almost the only source of graded examples however there has been a noticeable change recently where sales at French (and Monaco), Swiss and Japanese and even some UK and German auction houses now have significant numbers of slabbed coins which certainly improves things however the populations for many issues are usually very low and I expect self-submitted coins will still form a large part of collections of graded world coins for a while yet. Here in South Africa we do not receive our coins purchased overseas ,I am lucky if I receive a coin 4-6 months later ,lost lots of $ ,so sad !!! I'd certainly be tempted to start some self-submitting myself, but the nature of this Netherlands set I'm trying to build has somewhat prevented it. The coins I still need at this point have mintages of 50,000-70,000, and they were made about 130 years ago. Even ungraded, they just don't show up very often. The joys of trying to build a set of somewhat rare coins. It still amazes me some days that I got to get my hands on an 1887 (40,754 minted, 59 graded by NGC), and an 1888 (35,585 minted, only 22 graded by NGC across all grades). I originally thought I'd probably only be able to get the 5 common dates and have to stop there.